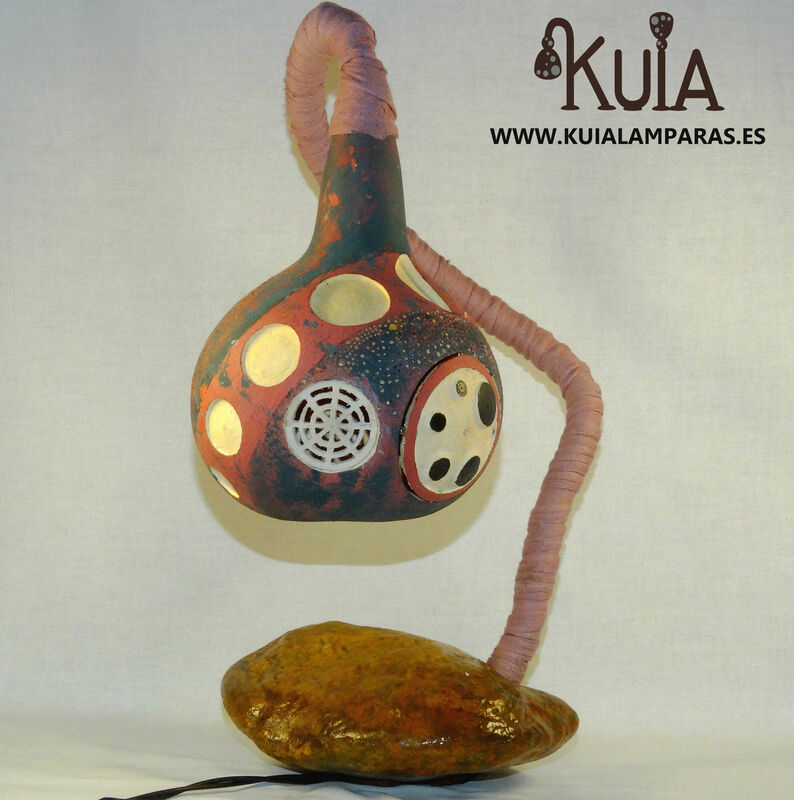 Ambient decorative table lamp created with a gourd. 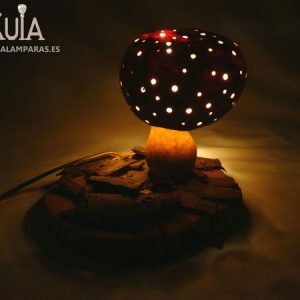 A perfect handicraft furniture if you love ecological and rustic lamps. The gourds are harvested myself. 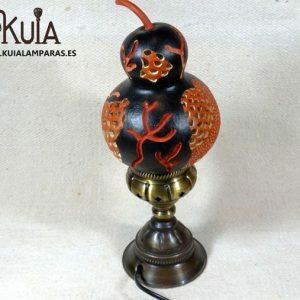 For this gourd lamp I drawn by using a compass only. 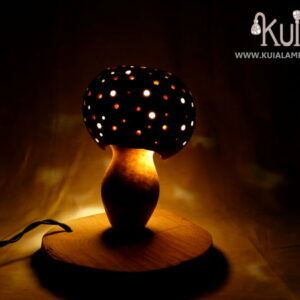 Subsequently it was sculpted carefully to give this special lighting effects. 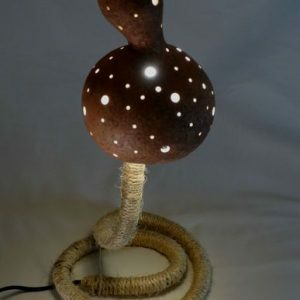 Its colors in both front and rear sides make this an unique lamp. 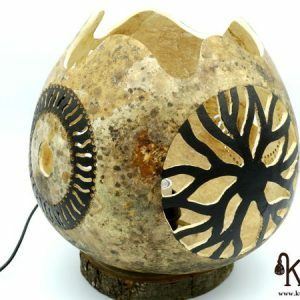 The base is created with a decorative stone. 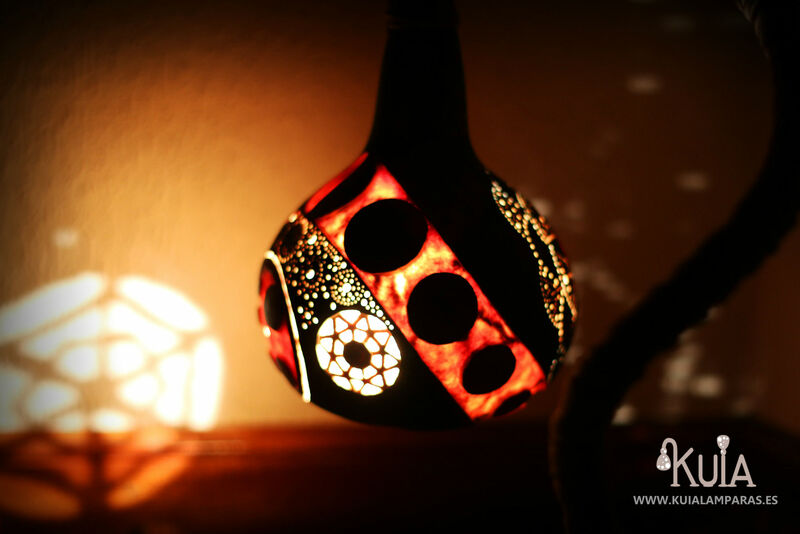 It is painted with pink and bluish green colors, but when it with the light changes to red. 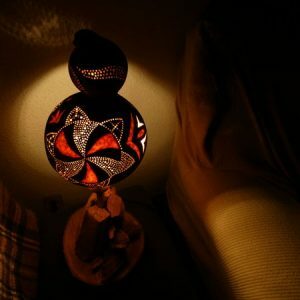 It is malleable son that it can be oriented.